How does St Joseph’s Hospice work? 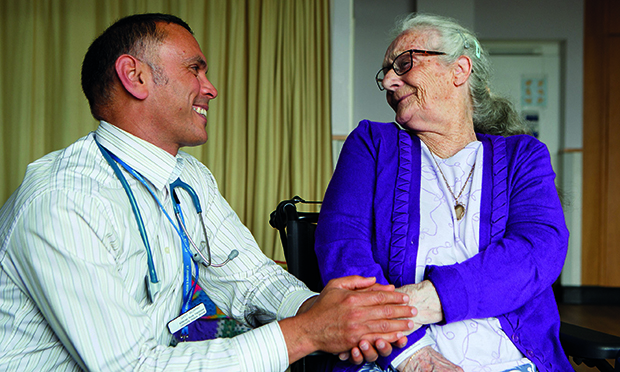 St Joseph’s Hospice cares for people in East and North East London with life-limiting or terminal illness. As well as looking after people within the Hospice, we reach far beyond our four walls providing support services to people in the community. We support around 4,000 people each year; patients, their families and carers so that they can make their own choices when they are nearing the end of life. All our services are free of charge. Any health and social care professionals, for example GPs, social workers or district nurses, who know the patient, can make a referral. Family members can make a referral, or patients can self-refer. The number, for all, to call is 0300 30 30 400, Monday to Friday between 8am and 6pm. Outside these hours, the 24/7 advice and support line is hosted by a specialist nurse advisor, also available on the same telephone number.